*Been sold on a sewing machine simply because it had so many stitch options, only to have never used them years later ((except for the zig zag stitch))? *Wanted to spruce up your Christmas gifts with a sweet, homemade touch? *Needed a little something extra on your tree or in your Christmas decor? Well then, I've got the perfect cute, simple & festive tutorial for you today! Ready of the fun part? Cut out random ornament shapes from your felt. I just free-handed mine, but feel free to print off some stencils if you're OCD particular like that. 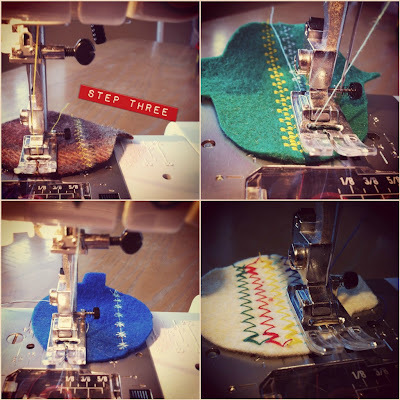 Pick your thread & select your stitch. 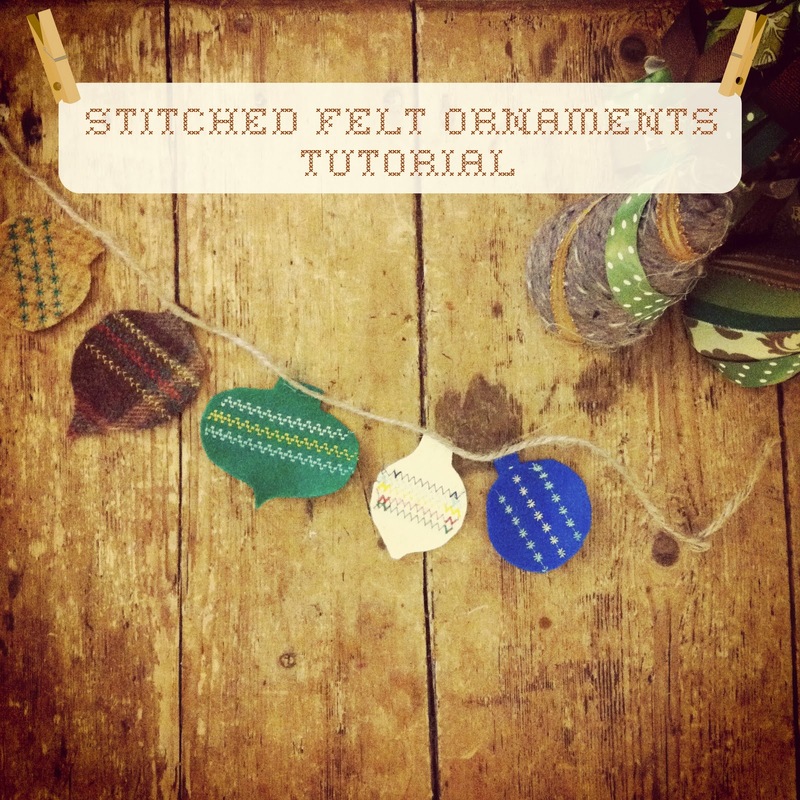 Have fun with miscellaneous stitches & thread colors to embellish your ornaments! Using a needle & thread, sew a loop of thread onto the top of your ornament or use some hot glue and attach to your gifts. Who doesn't enjoy a little extra cuteness? 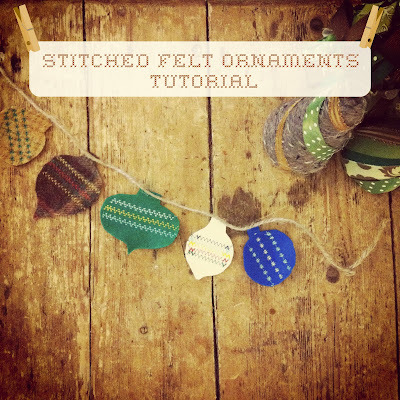 Make a garland out of your stitched felt ornaments. Use metallic thread for even more glam! you are so cute! 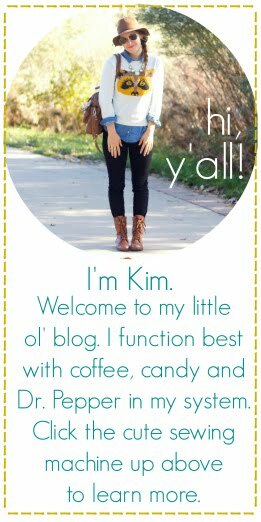 I love all your fun decorations and projects lately! Oh..sooo clever! 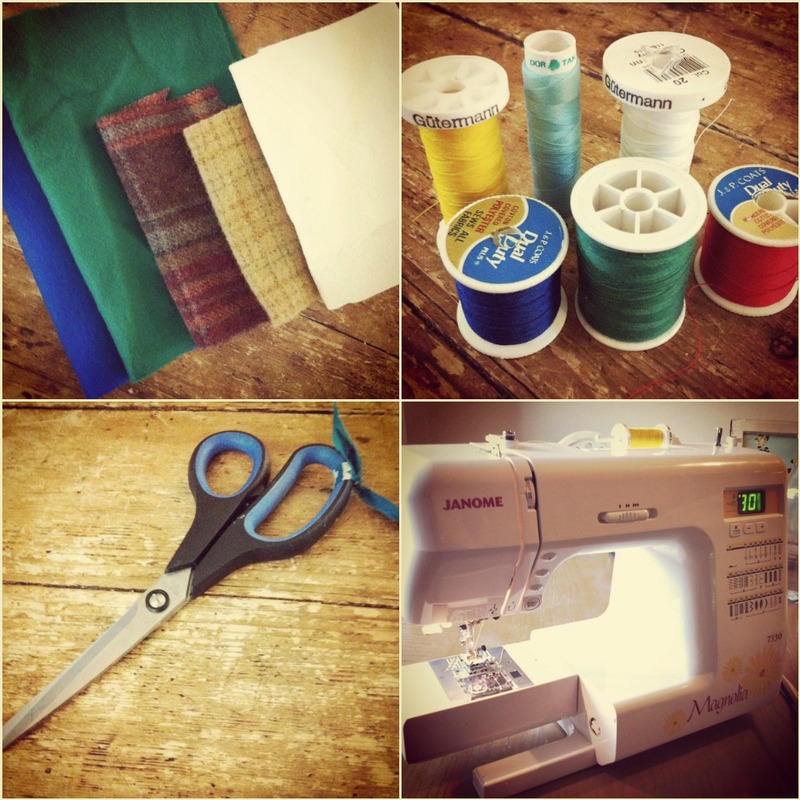 i too have a machine with lots of stitches that I have never used..maybe not now! CUTE!! would LOVE for you to link up to our "Home For The Holidays" link party! Oh my goodness, how darling!! 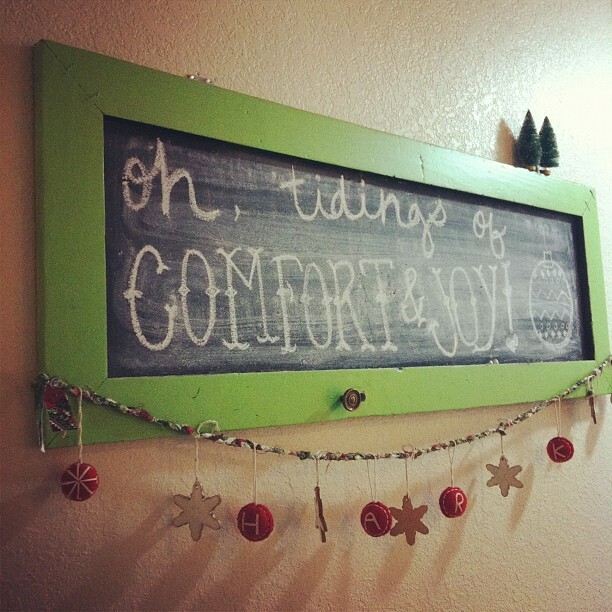 I love that chalkboard with the delightful message! I now want to make one! :) If I had a sewing machine, I would be all over this ornament idea, too! That really makes a gift extra special! Such a cute cute idea! Thanks for sharing!